Theater closed February 1996 under the operation of Cream City Theatre Corporation. See Journal Entries page for more details. 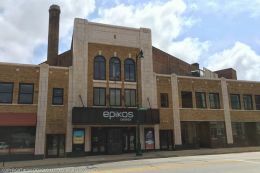 This movie theater is near Milwaukee, West Milwaukee, W Milwaukee, West Allis, Greenfield, Wauwatosa, New Berlin, Elm Grove, Greendale, Bay View, Glendale.